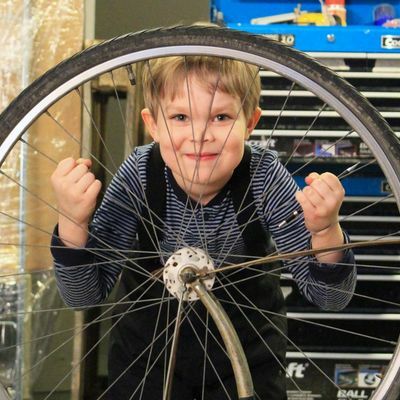 Each month during 2013 we organise and promote a Trashlab Repair Cafe event at a different location.. 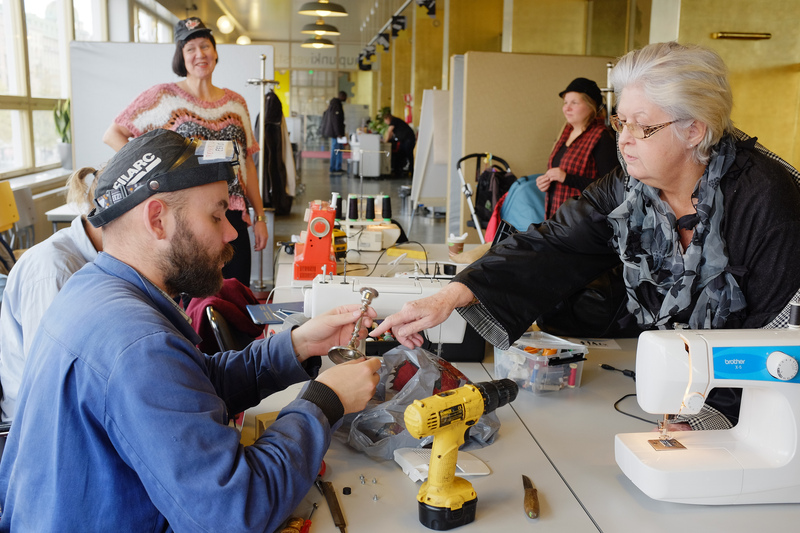 In October, Kaupunkiverstas -- Helsinki City Library's new maker space on the site of Kohtaamispaikka in Lasipalatsi -- hosts the next repair café event on Wednesday 2nd October from 14:00-18:00. However, this is just a pilot event, and monthly events have been negotiated to take place in same location monthly during 2014. Prototype Helsinki and Kohtaamispaikka@lasipalatsi have organised the Kaupunkiverstas (Urban Workshop) series of events which are planned for urban citizens, urban activists, city councilors and officials. 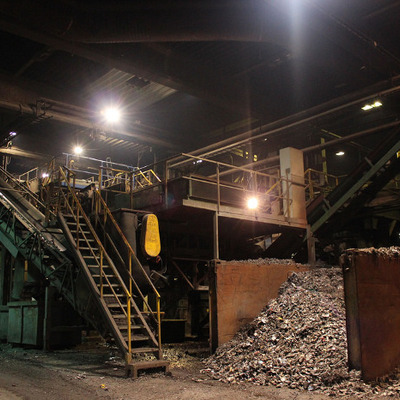 In the workshop-type events, urban culture and city streets is presented from the perspective of active authorship. Authorship and participation is intended to support two different approaches: enabling and gathering specific activities, and opening up new perspectives on urban culture. More information (in Finnish). 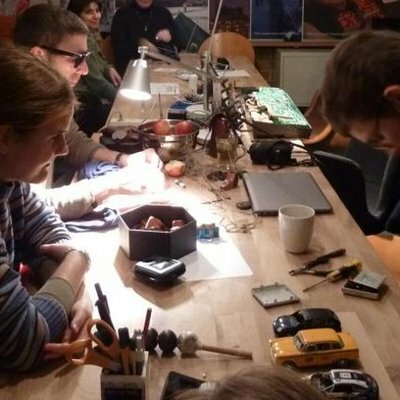 Several members of Trashlab activity were kindly invited to part in an expert brainstorming session in March 2013, which also discussed this new Library-managed maker-space, and so we are very happy to one of the pilot grassroot users of the space. On this repair café occasion in October, we have identified two fixers on hand for the occasion, again by popular demand Charlotte Remming, who offers support in sewing and fabric repairs; as well as Eero Yli-Vakkuri, who can help with many matters related to wood, electronics and various household objects, as well as doing good turn sharpening knives and scissors... He is a general wizard! 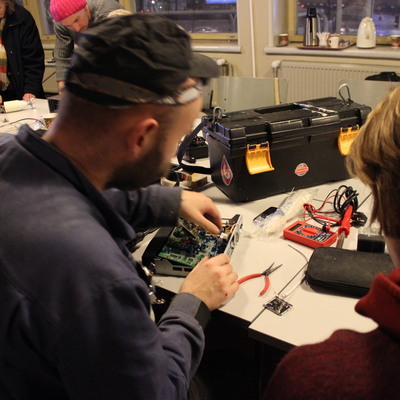 This Trashlab repair café is made at the invitation of and supported by Prototype Helsinki network coordinators. Keep in touch online by join the Facebook group 'Trashlab' for notice of events.. Or send an email to: andrew [-at-] pixelache.ac and he will add you to trashlab [-at-] pixelache.ac list [which is a google administrated group of pixelache.ac], and this list promotes the different Trashlab events outside Facebook.